Prime Minister Najib Razak’s 3-day visit to Germany has been a success. Starting with a dialogue session with German Business Leaders made up of 24 German renowned companies and four Malaysian companies that have invested in Germany, together with various trade and industrial associations that have operations and investments in Malaysia. This dialogue session focused on the manufacturing sector as Germany is a renowned high-technology industrial nation that is highly innovative especially in the automotive, machineries, electrical and the electronics sectors. The objective of this dialogue session was not only to inform the German business community about the two-way trade and investments between the two nations, but also to obtain feedbacks and views from German investors. With Germany being the largest trading partner from the European Union, with investments in the manufacturing sector reaching USD11.4 billion, it is apt for Malaysia to propose itself to become the host for the 16th German Asia-Pacific Business Conference. The last time Malaysia played host to this conference was in 2000. Najib Razak also witnessed and attended MoU signing ceremonies and trade discussions with companies that are involved in the pipeline, semiconductor, aviation, automotive as well as the shipping industries with one company committing to a second wave of investment to set up three competence centers. The Prime Minister also held a bilateral meeting with Chancellor Angela Merkel discussing international terrorism, the refugee situation as well as the South China Sea disputes. 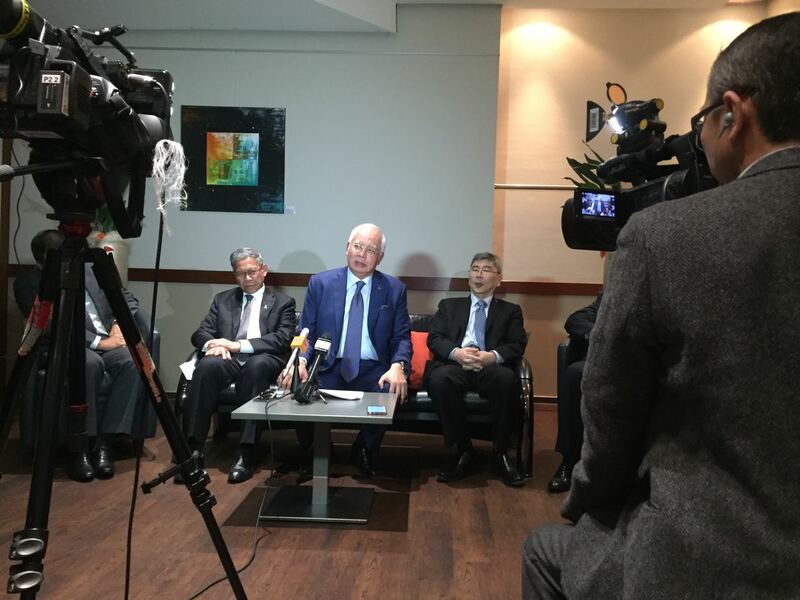 In another development, Najib Razak says that Malaysia wants to see those involved in the crime of the downing of Flight MH17 to be brought to justice, and would like to see nations involved to hold a discussion to identify the ways forward to fulfill promises made to the victims’ next-of-kin. It is unfortunate that Mahathir thinks that Malaysia has slid into the abyss of failed states when she continues to enjoy the confidence of foreign businesses and investors and continue to prosper under the stewardship of Najib Razak.